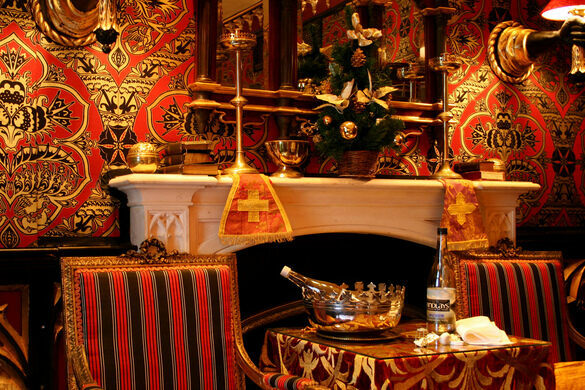 Edinburgh’s famed culinary destination delights contemporary patrons with fine Scottish cuisine and luxe, broody atmosphere. But rewind four centuries, and residents of this old-world landmark lived only a stone’s throw away from the convicted witches burned to death on nearby Castlehill. 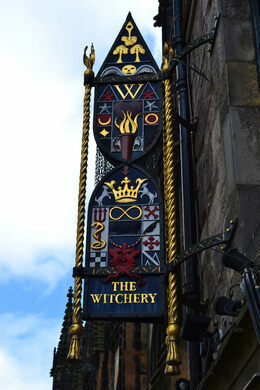 Nestled in Boswell’s Court amid a cluster of historic buildings at the gates of Edinburgh Castle, The Witchery is housed in a former abode built for merchant Thomas Lowthian in 1595. Visitors can still make out his initials and his motto, “O Lord in thee is all my traist,” at the door. Following Lowthian’s residence at Boswell’s Court, the building served as a committee chamber for clergy members of the Church of Scotland and later, a rectory; but it’s The Witchery’s proximity to Castlehill, where hundreds were burned at the stake, that renders this gastronomic sensation a beguiling (if sinister) linchpin of the Edinburgh experience. It’s believed that some 4,000 accused witches were executed across Scotland between the late 16th century and the 1720s. This aggressive and ruthless witch hunt was most notably helmed by Mary Queen of Scots’ son King James VI of Scotland (and I of England) in the nation’s capital during his reign from 1603 until his death in 1625. James forged the only royal thesis condemning witchcraft titled Daemonologie, by which the hysteria over this “high treason against God” went mainstream and resulted in what historians believe was the highest concentration of witchcraft-related executions in the country. Named in memoriam of the innumerable accused, The Witchery was opened as a high-end eatery and inn by restaurateur/hotelier James Thomson OBE in 1979, thus breathing new life and theatrical flair into Boswell’s Court. 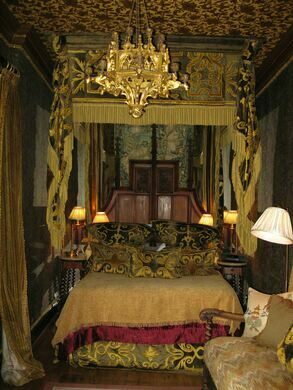 Magnificent tapestries, paneled walls of 17th-century oak taken from the neighboring St. Giles Cathedral, and gilded accouterments adorn The Witchery’s lush Jacobean interior. The award-winning Secret Garden, The Witchery’s al-fresco component added on in 1990, provides a light and airy balance in juxtaposition to the rich opulence of the main dining space with a painted ceiling a la Rossend Castle in Fife, and a quartet of floor-to-ceiling French doors. 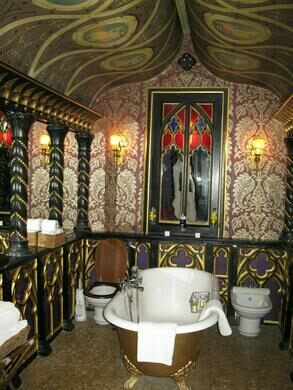 Guests may also book one of nine theatrical hotel suites located just above The Witchery for an extended stay at one of Edinburgh’s most enchanting points of interest. This site is not wheelchair accessible. 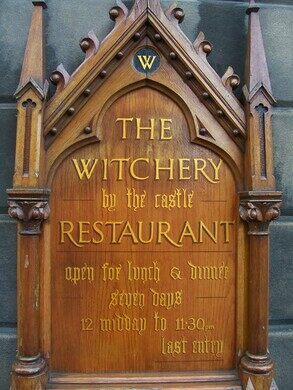 Lunch is from 12 to 4:30 p.m., afternoon tea is from 3- 4.3:0pm, and dinner is from 4:30 - 11: 30 p.m. seven days a week. Reservations are recommended, as it is always busy. A cast-iron fountain marks the spot where hundreds of accused witches were burned at the stake. This was once a hall in which a 16th-century royal banquet was hosted by King James VI of Scotland. This small museum in a 17th-century building honors three iconic Scottish writers.